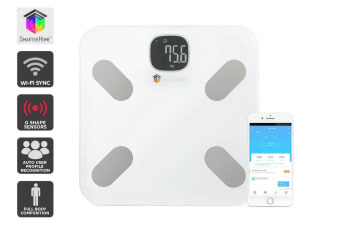 Monitor your weight, BMI, total body fat and hydration percentage, including bone and muscle mass using the Kogan SmarterHome™ Wi-Fi Body Composition Smart Scale and track long term trends on your phone! 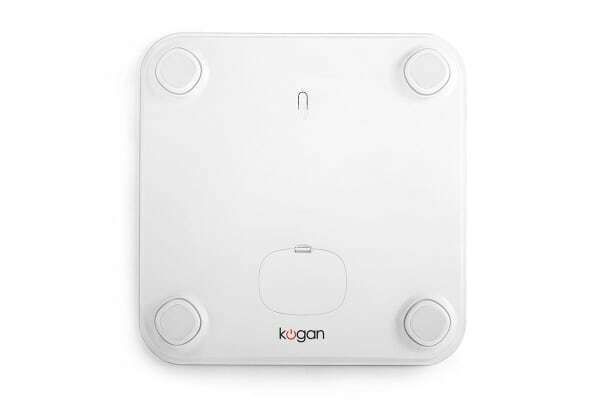 Simply step on the scales and the Kogan SmarterHome™ WiFi Body Composition Smart Scale automatically syncs your data to the free Kogan SmarterHome app so you can see how your hard work is paying off! Compare, track and measure your BMI, total body fat and water percentage and bone and muscle mass using the free app, helping you to measure your muscle gain and fat burn progress! 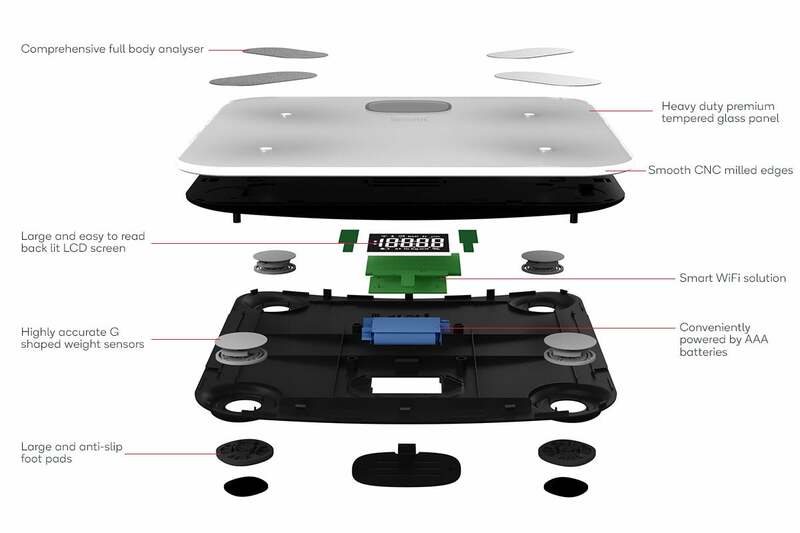 Plus, you don’t even need to open the app or be near your phone to record your data. 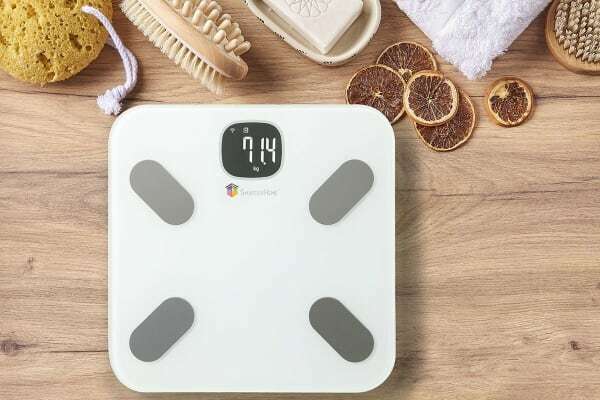 This smart scale will automatically store your stats in the cloud and auto-sync to your phone whether it’s in your hand, charging or dead. 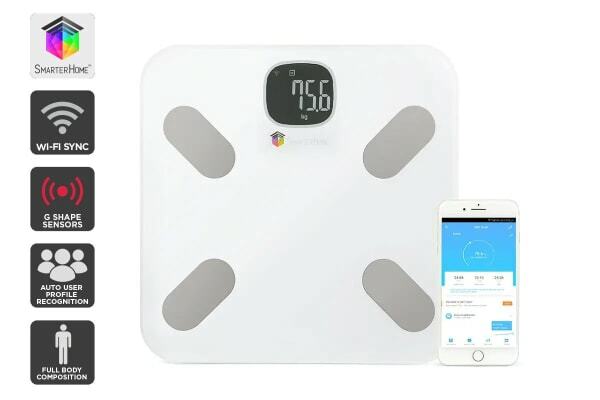 This smart scale auto-stores your stats straight to your phone and recognises up to eight users, meaning you can get your friends and family involved on the fitness journey!